Sometimes you don't have to dig very deep to find buried treasure. In fact, it might be right on top of the sand. Maybe it isn't glistening jewels and gold coins, but the things you discover during a walk on the beach can be even more valuable when they remind you of a moment filled with happiness and contentment. What's more precious than a lasting memory? 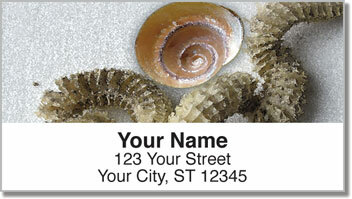 Beach Finds Address Labels from CheckAdvantage feature shells, driftwood and fossils you might come across during a stroll by the sea at sunset. 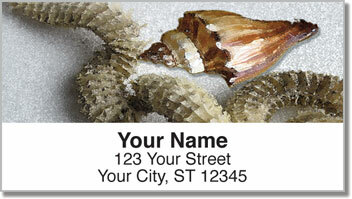 Stick them on every envelope you send to create a distinctive, natural look. 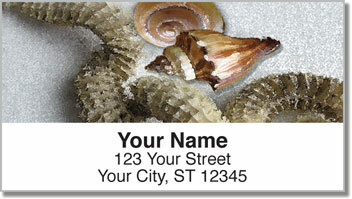 These self-adhesive labels can also be used to mark other items with your name and address. 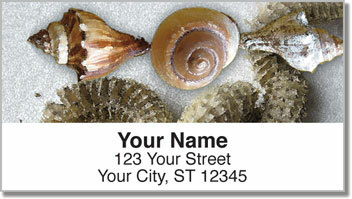 Get your very own Beach Finds Address Labels now! Order them with matching personal checks today!